Join in on YEP! Hamilton’s Annual Holiday gathering. 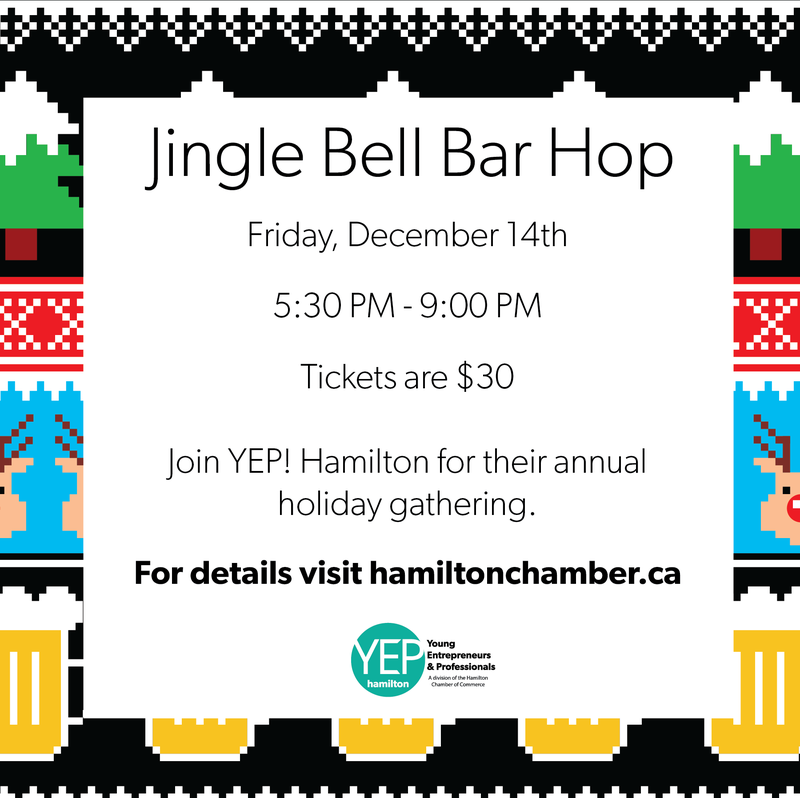 This year we have decided to do a brewery tour and visit some of our favourite Hamilton Chamber breweries. Tickets include samples at each brewery and the bus fee. The tour will begin at the Hamilton City Hall parking lot, and will end at Merit Brewery. Please come dressed in your ugly holiday sweaters!